This is a crosswalk that unpacks each guideline. Use it if you think it helps to better understand the guidelines. Just in case you'd like a copy of the Sanger version with the icons. 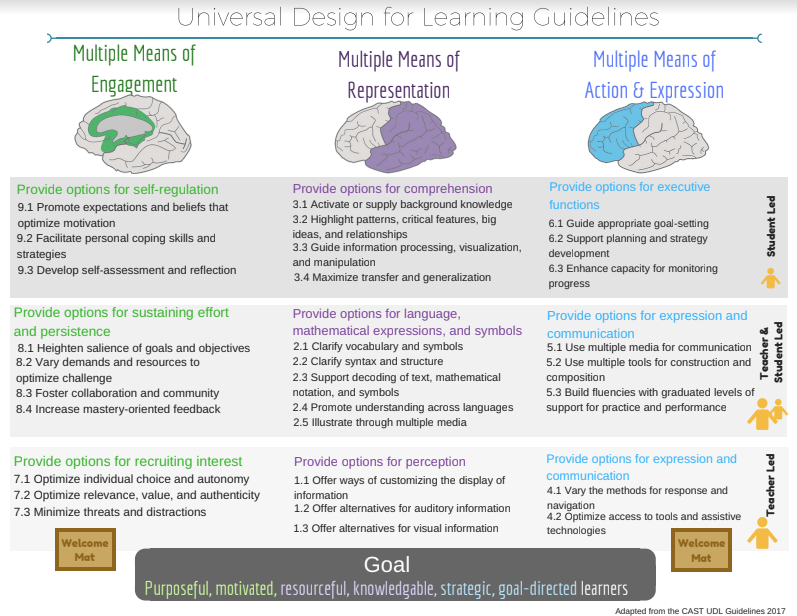 UDL Guideline Representations - Super Cool! 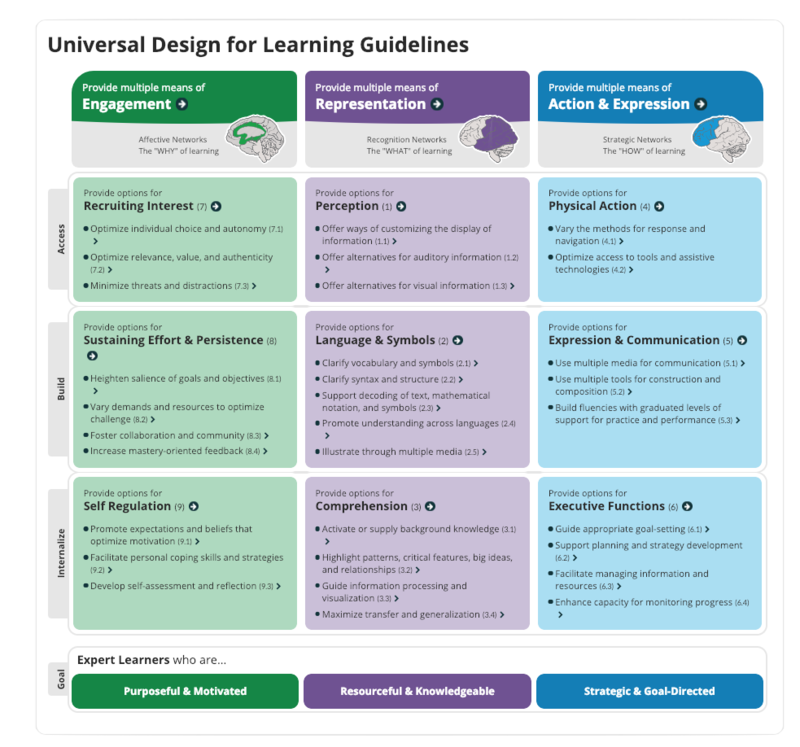 This is an amazing website build by CAST (the gurus behind UDL). It provides the research behind the framework, as well as unpacked guidelines and checkpoints. 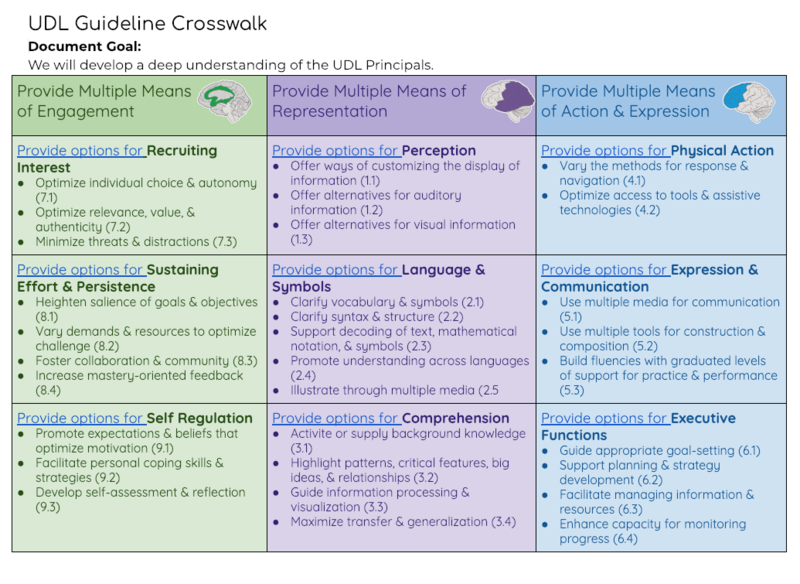 Click on the picture below to see what the UDL guidelines and checkpoints look like in practice. This is a work in progress please check back for more resources.